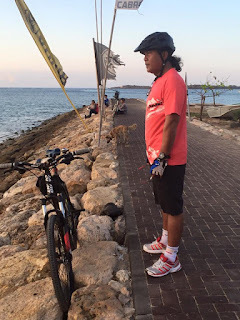 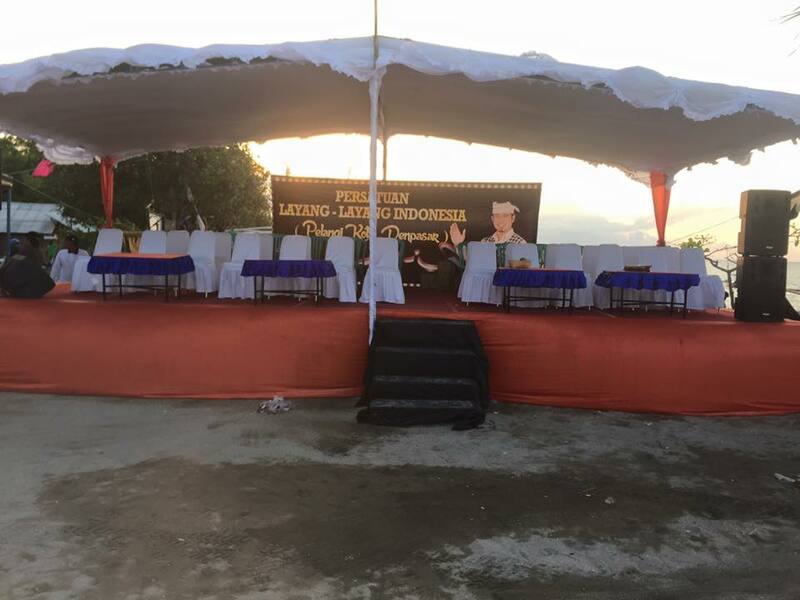 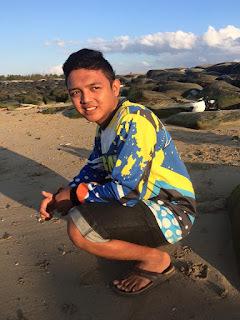 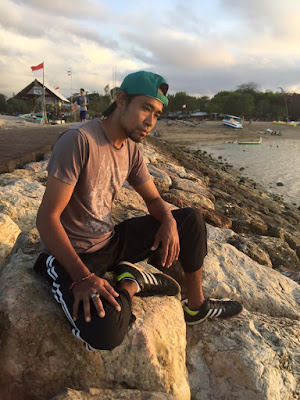 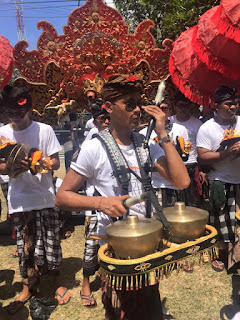 My Mertasari Morning Diaries: 6 September 2015: Every Sunday morning at Mertasari Beach one sports groups or another wheels in a massive sound system and blasts the suburb with ghastly metal music. 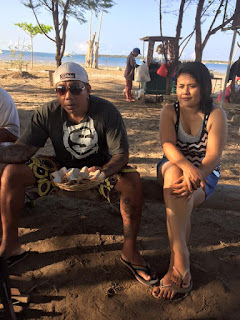 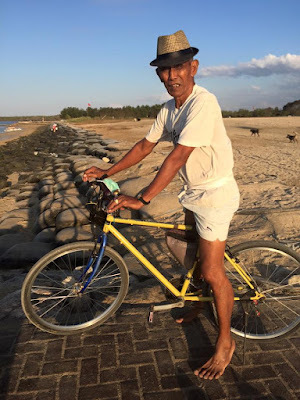 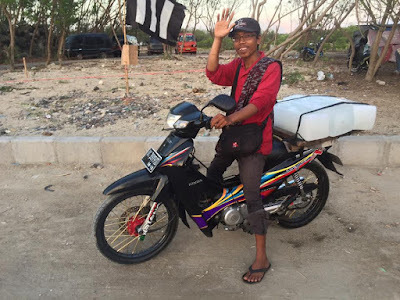 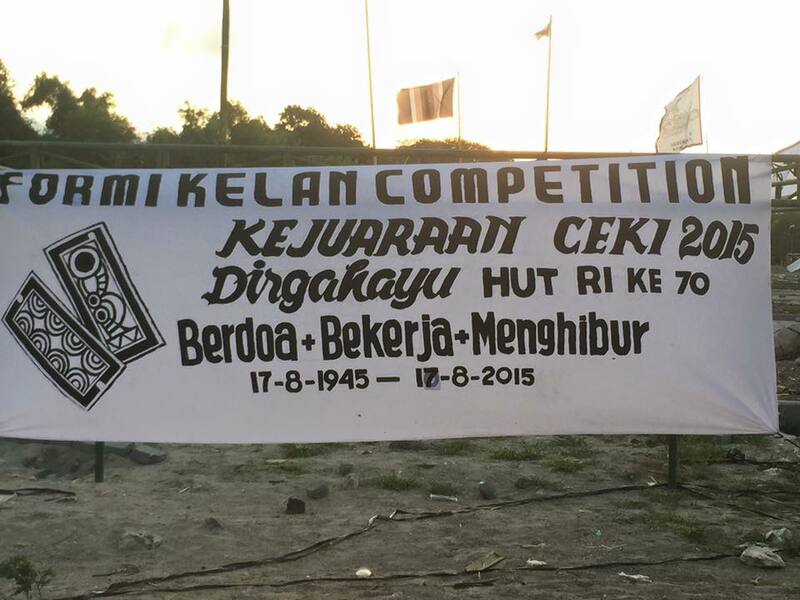 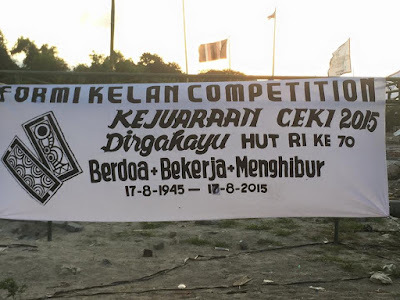 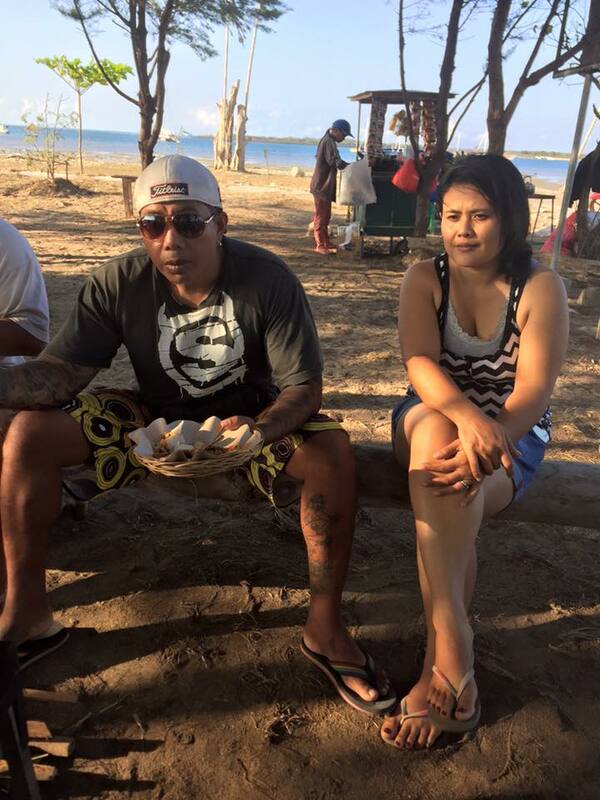 6 September 2015: Every Sunday morning at Mertasari Beach one sports groups or another wheels in a massive sound system and blasts the suburb with ghastly metal music. This morning its the kite festival again and its Iwal Fals — there's a giant photo of my neighbour, Tunas Jaya founder Madeg's son, a local politico , welcoming people to the noise -- and a hundred giant flags . 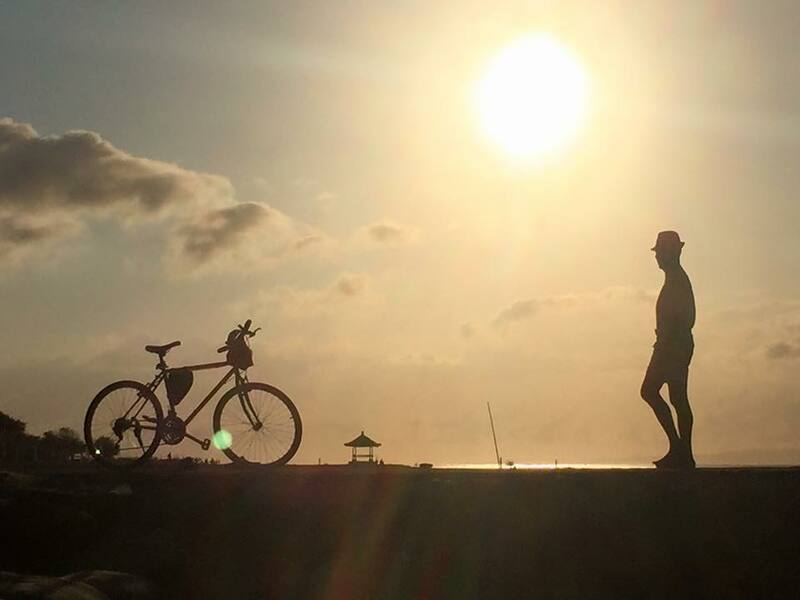 The atmosphere is Ben Hur meets Joan Baez. 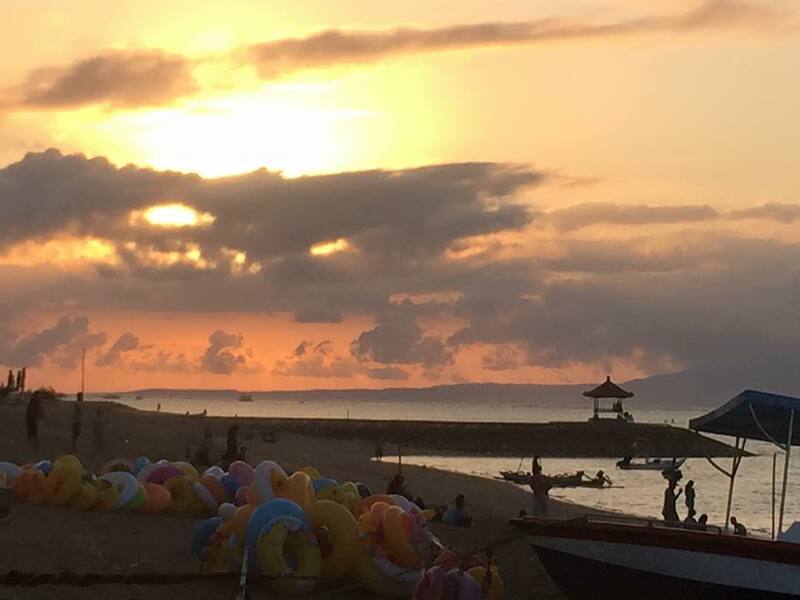 Canoe enthusiasts paddle in the bay. All the regular hotties stay home on Sunday — its a day for the naff and the chubby. 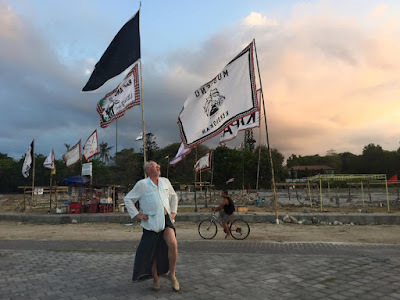 And thousands of kite enthusiasts in an hours time, in mad max outfits and attitudes. 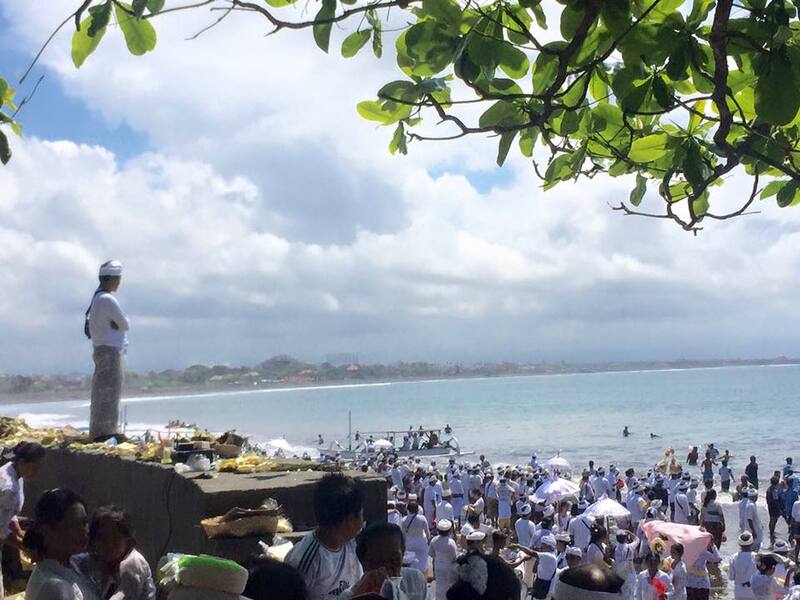 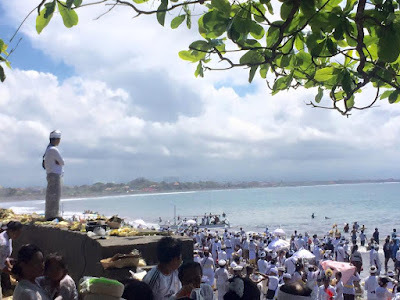 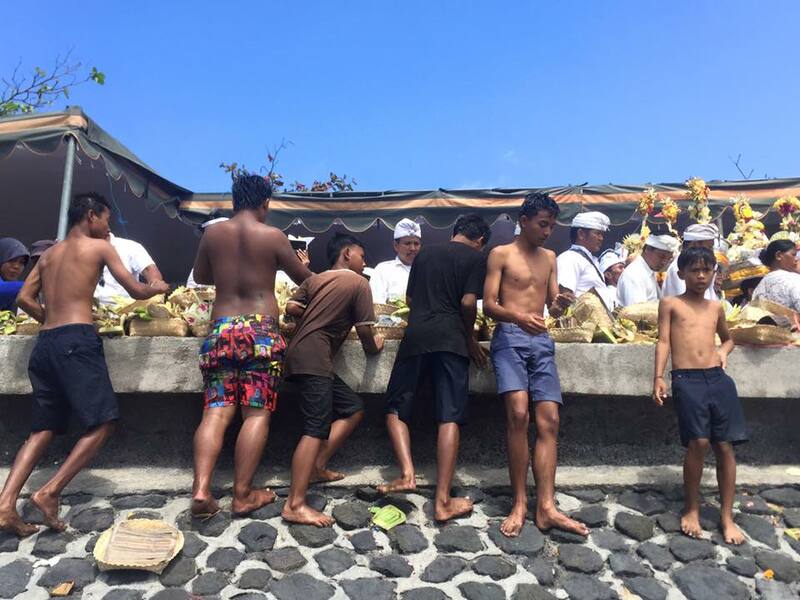 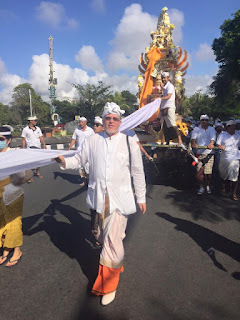 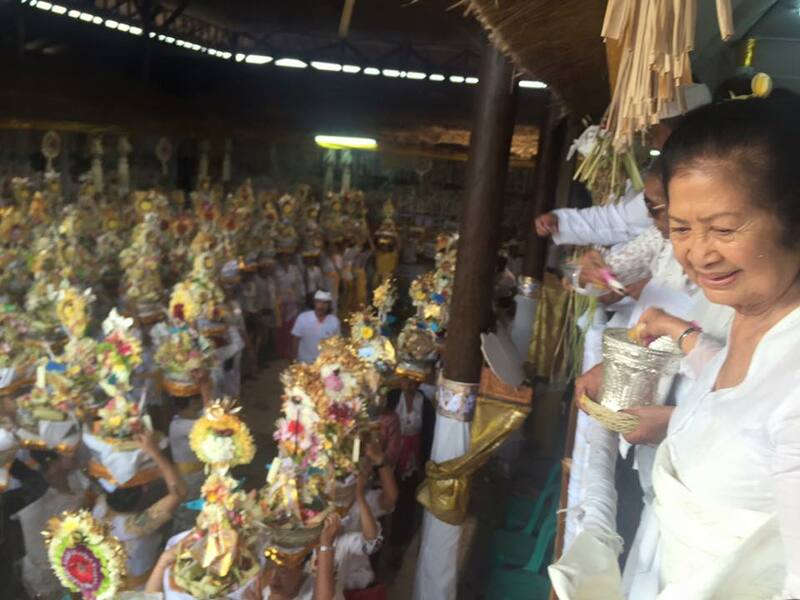 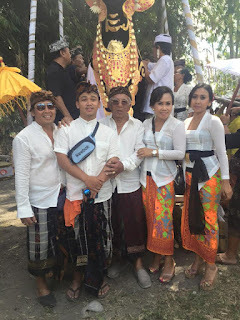 I am still recovering from all the processions i joined yesterday — from denpasar to sanur to sayan. The highlights were pedanda istri karang and her sister in law pedanda istri splashing water from a high pavilion as 300 puspalingga filed past below-- precision filing, exquisite drop dead beauty. 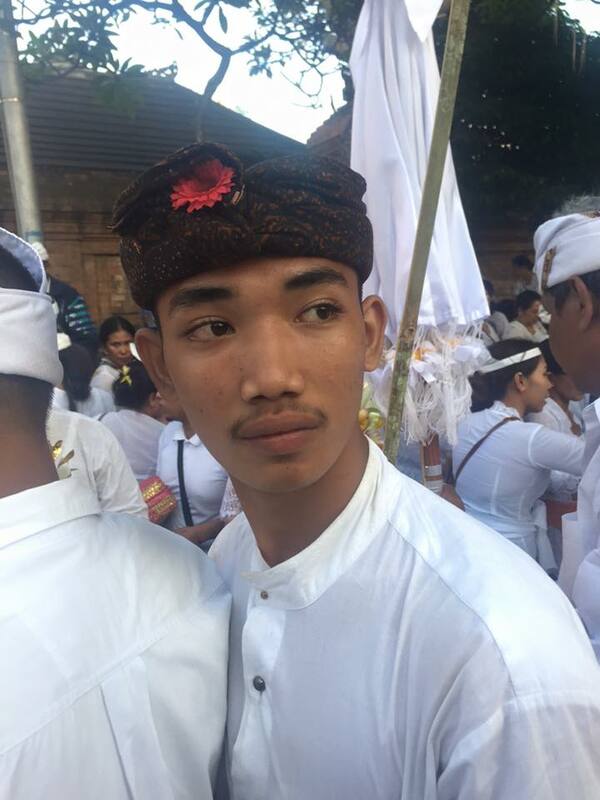 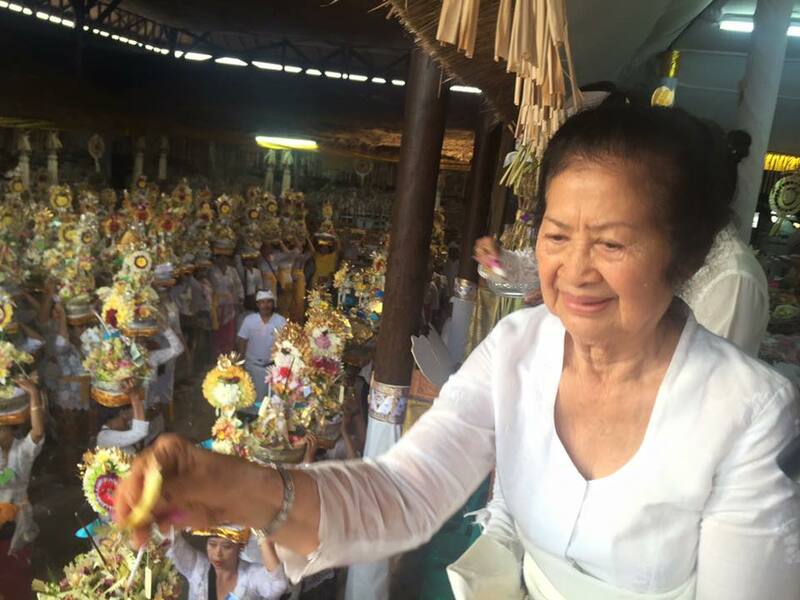 Next high moment was the 300 white umbrellas gaThered at the feet of the giant catur muka statue and fountain as the tampakgangsul brahmans, gold and white padmasari bier and spirited marching band headed south on a closed jalan vetran at 8 a m.